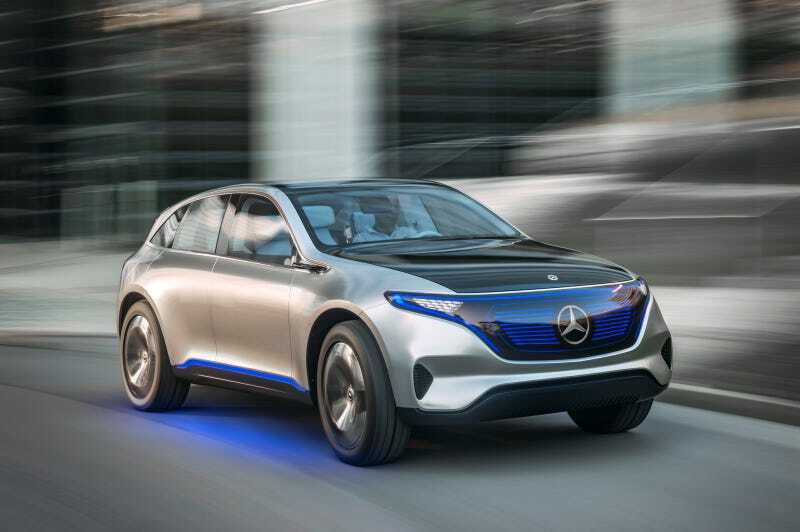 Mercedes wants to be at the very top of the luxury electric vehicle category by 2025, so today, it showed the world a zany looking crossover that will form the foundation of a new brand called “EQ.” The thing looks bonkers, but I don’t care because just look at the power and range numbers. The “Generation EQ” concept car, a version of which head of Mercedes Dr. Dieter Zetsche says will be in production in three years, debuts an all-new architecture for Mercedes that houses two electric motors with a total system output of up to 300 kW (about 400 horsepower) and a range of up to 310 miles. The wheelbase, track width, batteries and other mechanical components can vary between sedans, SUVs, Coupes and other body types despite being built on the same basic platform. The inside definitely walks the line between what we have now and what’s to come, with lots of screens, few buttons and a tasteful, relatively minimalist approach. I like the lit plus and minus symbols on the accelerator and brake pedals. That’s fun. Zetsche said Mercedes has created its own internal brand devoted to EV development. That brand, called “EQ” (which apparently stands for “electric intelligence”) is all how Benz plans to market all future EVs. By 2025, Mercedes plans to offer 10 fully electric cars, and they expect 15-25 percent of global sales to be EVs. The Generation EQ is going to be the first car built on the new platform, and is expected to start somewhere around the price of a “reasonably equipped” GLC, so probably about $45,000 to $50,000. Welcome to Mercedes’ electric future.